What if students had access to internships and employment opportunities irrespective of their college brand names and exclusively based on one's proficiency skills? Wouldn't that provide the best eligible workforce for the corporates as well? 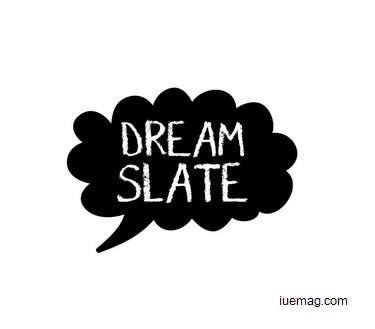 DREAM SLATE EDUTECH PVT. LTD. is an entrepreneurial venture that aims to bridge the gap between corporates and academia. We do so by imparting knowledge via gaming mechanics, video instructions, practice challenges and training, thus making one industry-ready. During various internships and trainings, the founder of the company and his peer group realized that there exists a big mismatch between academic training and industry expectations, which keeps widening with the fast industry growth, and this led to the inception of Dream Slate Edutech Pvt. Ltd.
Having conducted multiple case studies with SMEs and large corporates, Team Dream Slate realized that precious resources and efforts were being invested by the industry to bring the newly recruited freshers at par with industry technical standards. The major hurdle was in the form of quality training and standards of intake of freshers. Dream Slate is currently working to address these issues by providing high quality content and training as per industry expectations using gaming mechanics to enhance the imagination and retention power of the students and, simultaneously, is providing skill data for every proficiency attained-qualitization. This is being currently used by various recruiters as a replacement to the earlier aptitude test filtering process. This system gives freshers confidence, flexibility, experimentation options, and an ability to analyse their passion/interests in their stream of education. It also gives them opportunities to explore the job market with a more balanced view. Having trained more than 2000 students, Dream Slate has been able to provide each of them with a platform to approach the industry systematically and with confidence. Through their workshops and seminars they have brought about a dramatic change in the cognitive abilities of the students towards one’s profession. Dream Slate has expanded to a web-based e-learning platform that uses an interactive compiler making the learning experience less stressful and more fun. They are collaborating with various colleges in and around Hyderabad and establishing Dream Slate Student Units, which are being run as student initiatives in various colleges. This model is giving the students a feel of responsibility, ownership, initiative, and corporate exposure, along with enhancing the proficiency in various courses. In the next two years, Dream Slate plans on covering the broad spectrum of engineering courses and replacing aptitude testing models with their skill data analysis as a standard practice for recruitment by the industry. This will provide a platform for every student irrespective of the college tag name to avail internships and job opportunities as per his/her proficiency level, leading to better and equal employment opportunities for everyone.